FYI: Mark Harris has written or co-written more that 20 #1 radio hits while with 4HIM, a vocal group that continues to tour and impact audiences nationwide. The Bottom Line: Personal and transparent for a songwriter like Harris and yet highly enjoyable and inspiring for listeners, The Line Between the Two is an album that will remind you to make the most of every day, to live a meaningful life by focusing on what matters in God’s eyes. Several songs here are highly singable and worship worthy, but the album as a whole is great for everyday listening… in the car, at home, in the office. Featuring: 10 songs, including “For the First Time,” “Carry the Light,” “Hello to Goodbye,” “Ordinary Life,” “Find Myself in You,” and “Speak to Me,” among others. 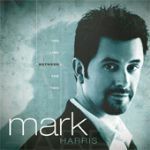 Watch the latest Mark Harris music videos at Godtube.com today!